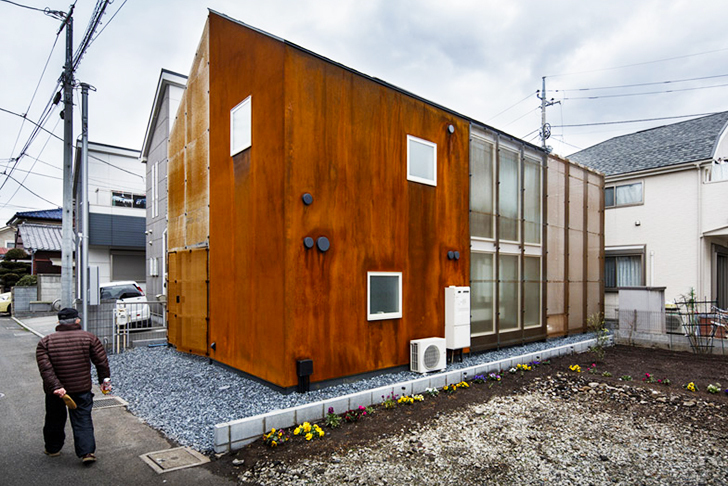 Homes in Tokyo are regularly demolished and rebuilt, however Sugawaradaisuke Studio's gorgeous Transustainable House is designed to change and adapt over time. Located in the Chofu district, the home has many bedrooms, multipurpose rooms and cool semi-indoor areas that make the space flexible, sustainable and comfortable. But the house doesn’t just adapt spatially - its steel skin is designed to beautifully weather over time. The Transustainable House features a mix of outdoor, indoor and “semi-indoor” areas spread over two levels. The whole ground floor is covered in pebbles, and its minimal decor, natural light and the large sliding windows blur the relationship between the indoors and outdoors. This design approach makes the 410 sq ft home feel bigger, and it also provides residents with greater flexibility and control in how they heat and cool the house throughout the year. The Transustainable House features a mix of outdoor, indoor and "semi-indoor" areas spread over two levels. 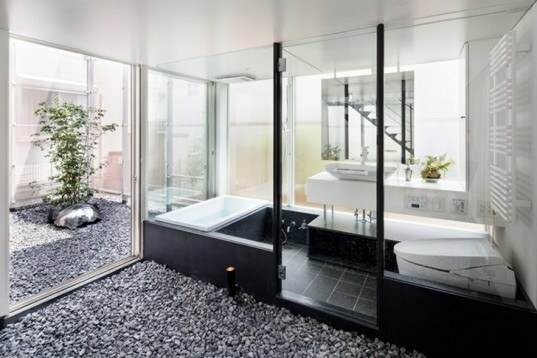 The whole ground floor is covered in pebbles, and its minimal decor, natural light and the large sliding windows blur the relationship between the indoors and outdoors. This design approach makes the 410 sq ft home feel bigger, and it also provides residents with greater flexibility and control in how they heat and cool the house throughout the year. Private and social rooms are located the ground floor, while a kitchen and bedroom are located on the upper level. The home's unique design adapts and satisfies a range of living situations, allowing small families, couples and single residents to share it. The Transustainable House's weathered steel skin transforms over time as well - the architects explained to Dezeen that the home's "architectural appearance is not designed by an architect, but is defined by the actual behavior of the natural phenomena."